Dr Jengo's World: GTA V Online Revealed! Of course I'm gonna blog about it... why else would I create this post? That is after you have watched it 10 times..
You ready to read my rambling now? Own a home! Have your own garage filled with sports cars, character customization, parachuting, flying planes.. the list goes on.. In just 3 mins, the video has shown us so much and I'm sure there will be more to discover. Exploring the vast open-world alone will be awesome, but with friends, it will be on a whole new level. Another interesting feature to be noticed is the inclusion of meeting NPCs online, complete with cut-scenes. I could play GTA games over and over again, just for their cutscenes so will be great to see how this plays out. Will we meet characters from the story mode or will we see new ones? 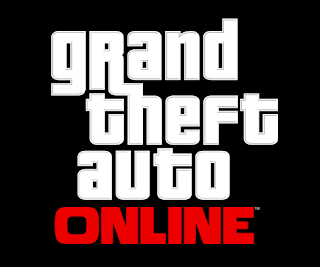 Rockstar has experimented with this in their other games' online modes. Red Dead Redemption had it. Instead of having only menus, the open world was your lobby. Want to clear a hideout, ride there with your posse and start the event! Want to hunt some bears? Ride over to the thick forests where they dwell. This interface, probably will be similar in GTA online. Sure GTA wouldn't be GTA without some competition. Similar to Max Payne 3's Gang Wars, we could expect to see rival factions battle each other to take control of turf and other objectives. Let's not forget the Crews feature that started in Max Payne 3. Similar to a clan system, friends can crew up to earn bonus xp when playing together. Clash with another crew several times and you will start a feud. Again you will earn bonus xp when taking down feuding crew members. Will be great to see this return in GTA V.
So we have 1 helluva story mode, a freaking awesome multiplayer.. what else can you ask for? Well it's the demanding internet world... and before you can ask if you can create your modes, the trailer has already answered your question. Myself, I don't think I will even have the time for that! There's so many other things given to us already! I did say the US$149.90 for the Collector's Edition isn't value for money.. and I stick by it. They should have just priced the standard game for US$120 and I would still have bought it. Where on earth am I going to find the time for AC IV and WatchDogs?